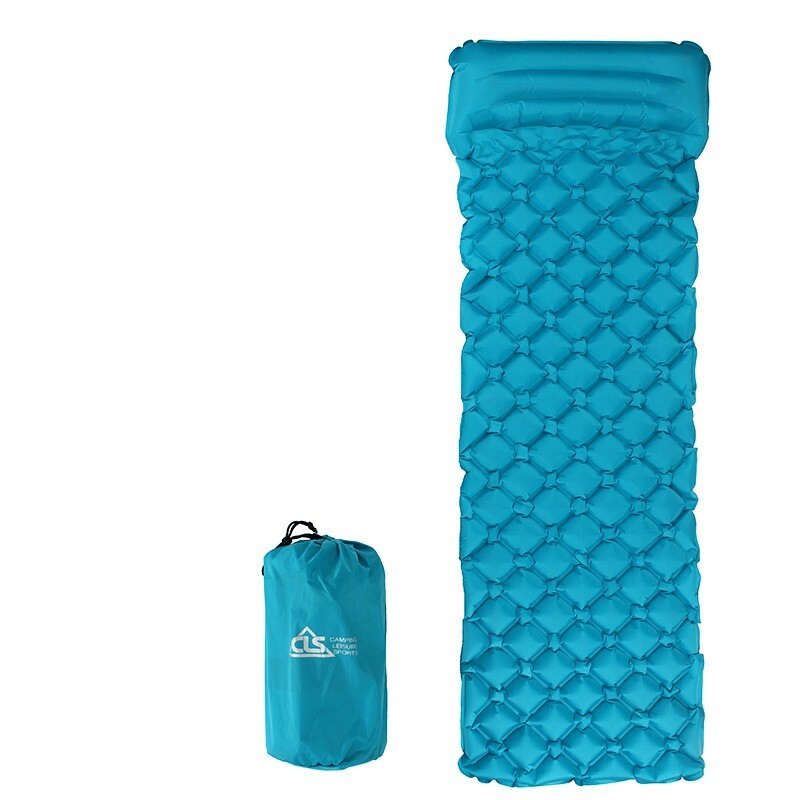 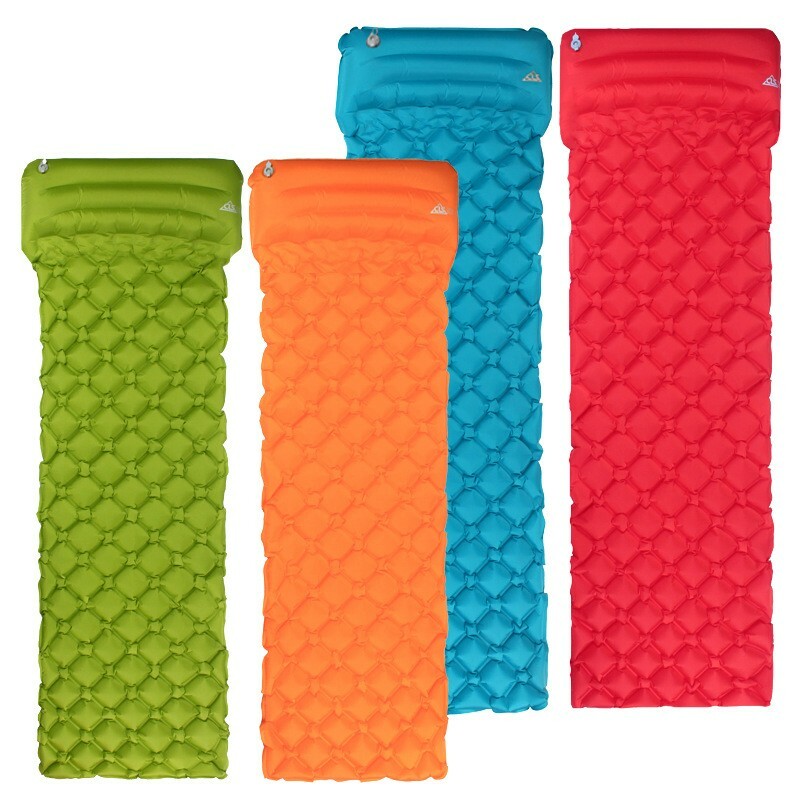 A COMFORTABLE SLEEPING PAD MAKES YOUR CAMPING - No more worry about sore back when sleeping outdoor. 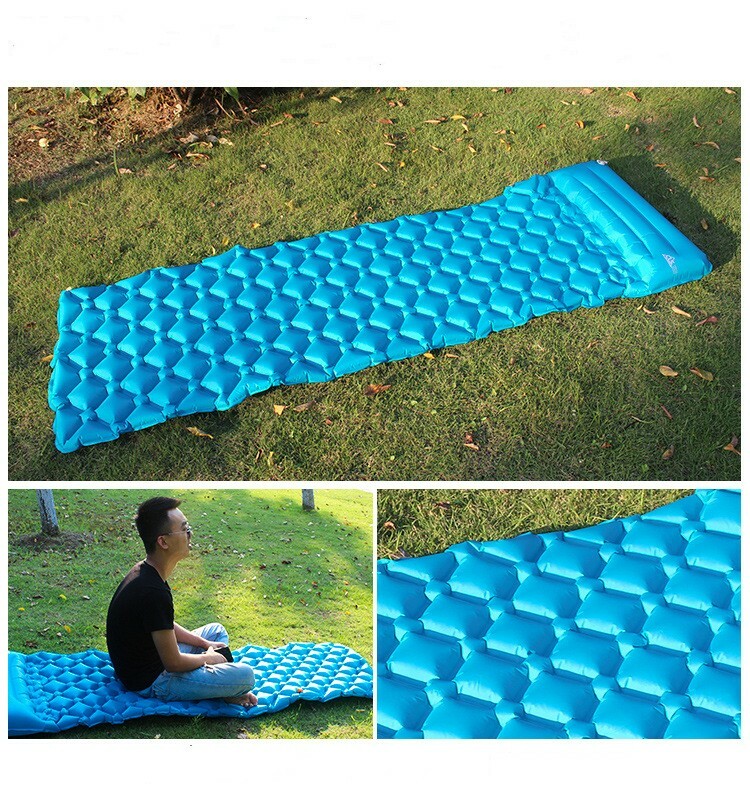 The Woosir sleeping mat keeps every small rocks, pumps, pebbles or twigs away from your back. 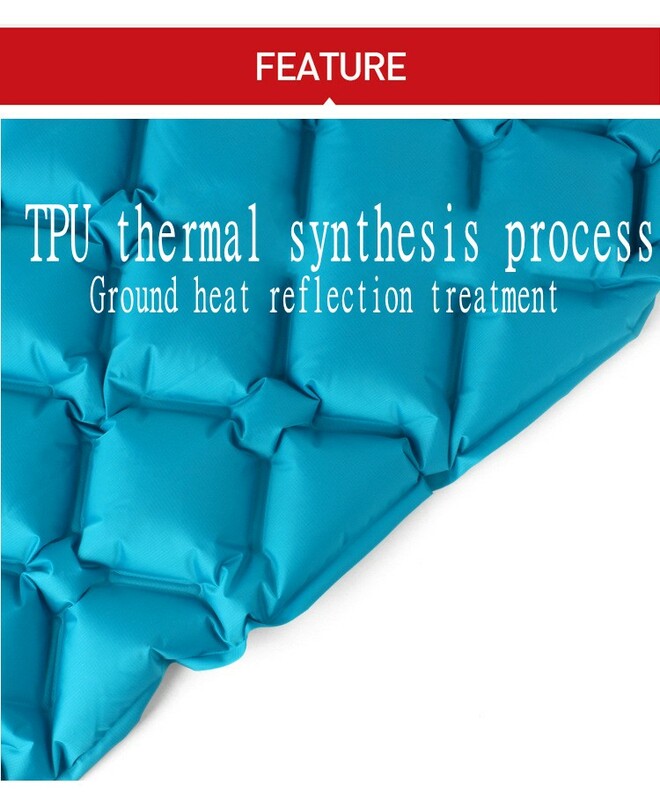 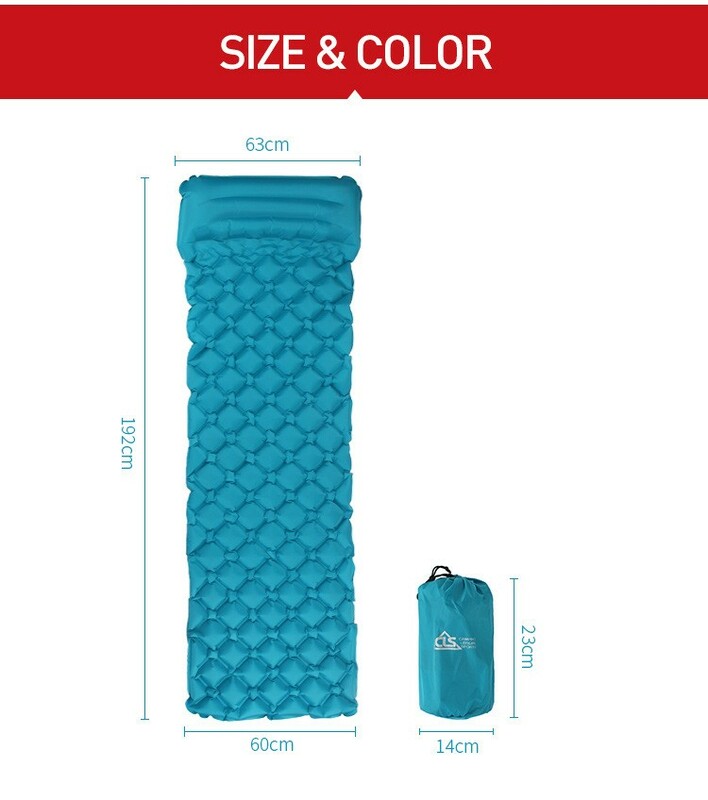 Providing the optimal comfort and warmth your body needs for a nice outdoor overnight rest. 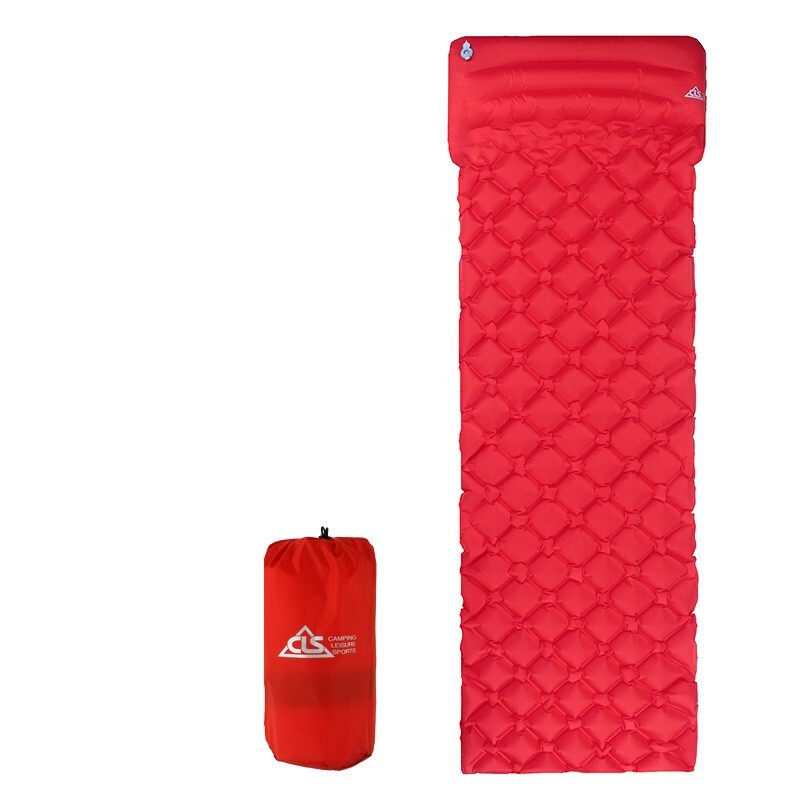 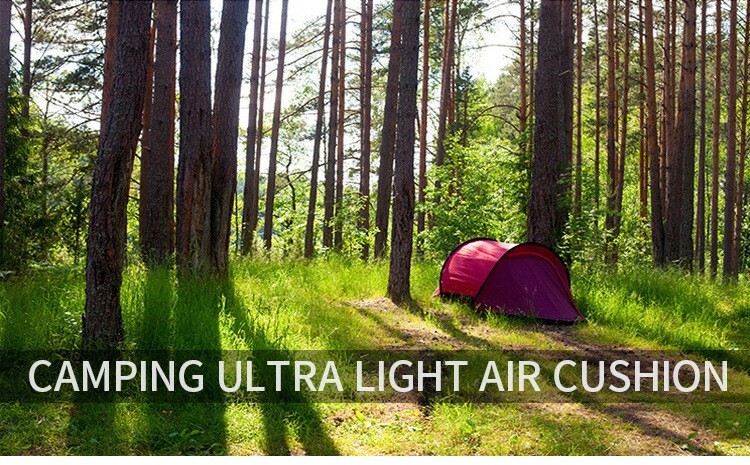 ULTRALIGHT YET DURABLE - Only weights in and inflated size is 75”x22.5”x2â€? 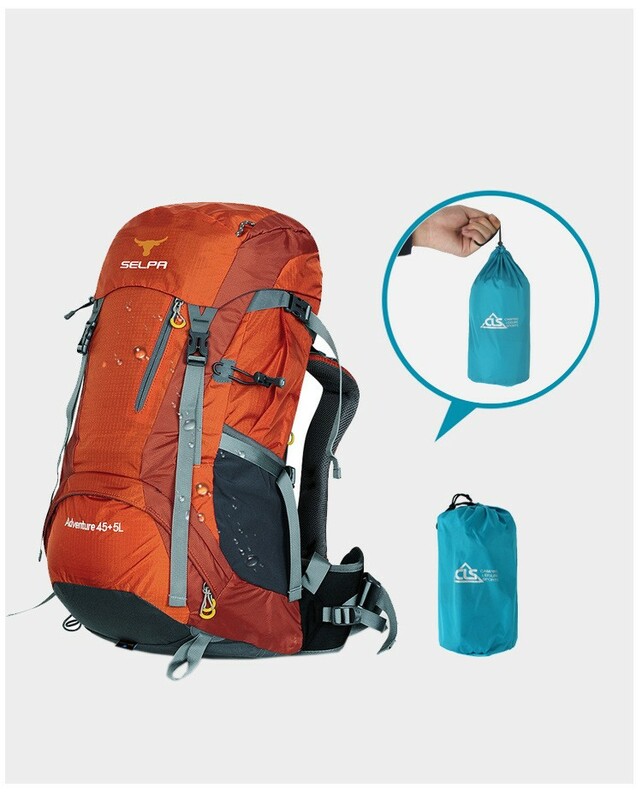 Laminated 40D Rip-stop Nylon and the TPU layer provides a good balance between light weight and durability. The cubed surface design fits body natural curves to ensure you feel comfortable with any sleeping positions. 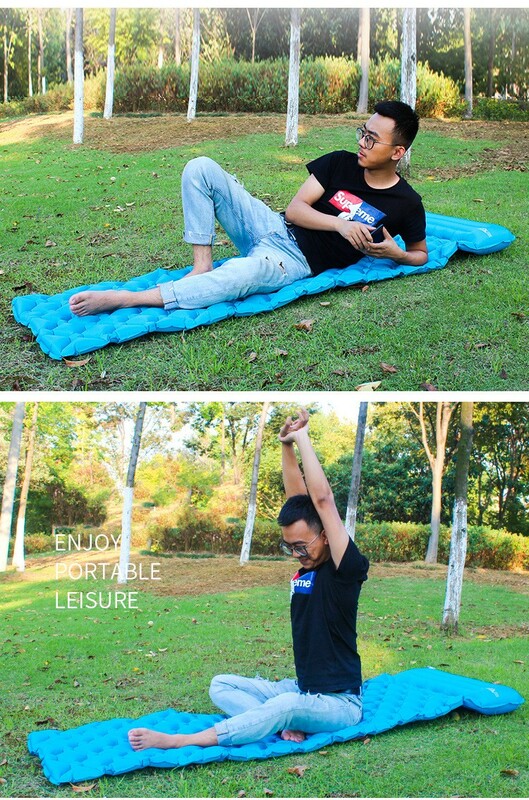 INFLATE AND DEFLATE IN SECONDS - No pump required. 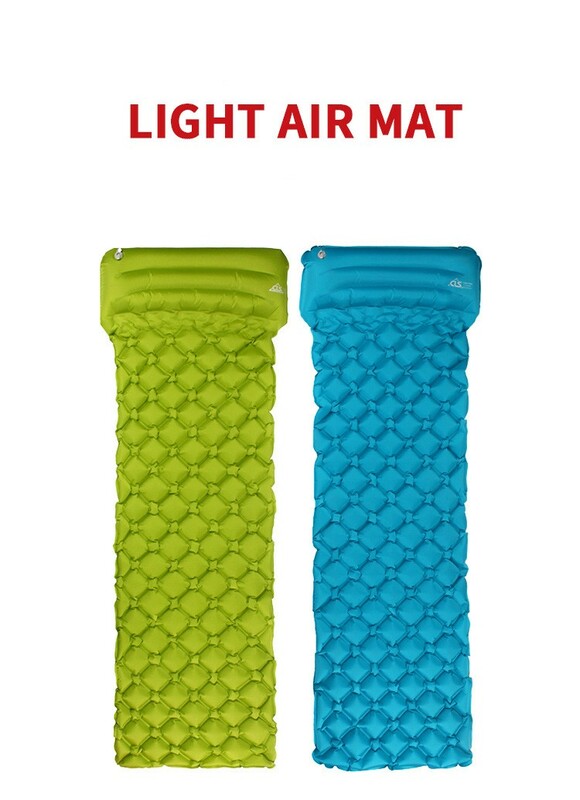 Just open the first air valve and ONLY takes 10-15 breaths to inflate this Self Inflating Sleeping Mat and 3-5 breaths for the pillow. The sleeping pad can be deflated in 3 seconds by open the second valve.